The market today is highly competitive in every industry, so you need something that will really make you stand out from the pack. Video marketing is really the gift that keeps giving. You could stick with the more traditional ways of marketing, like cold-calling or following leads, or you could blaze your own trail by trying something new. The fact is that people would much rather watch a video that read walls of text that bore them. They want their information quickly and to the point. Video marketing is the best way to attract and retain clients. Here are some tips that will maximize your marketing potential through videos. Oh year a shameless plug! Check out Dubb if you’re interested in a platform to help you create and share videos. It may be easier to just send out the same video to every client but adding that personal touch can make all of the difference. Each video should be just as individual as your clients are. Use their names (or the company’s name). Learn who your customers are. Do they like a little humor? Are they more serious? You should cater your videos to them. Your clients want to feel important and personalized videos give them the “face-to-face” communication that they are looking for. Empathize with their issues and discuss how you can help solve their problems. Personalized videos can get you over 200% engagement according to some estimates. Once you have attracted the customer, a “Thank You” video is the best way to show your appreciation for their business. You could send a “Thank You” card, but a video adds a personal touch that will really help your client feel special. Make sure that it is personalized to them and the services that they received. This may seem like a small and insignificant thing, but to clients this is a huge gesture. Clients want to trust the businesses that they work with. A short video is a highly effective way for you to introduce yourself and what you’re offering to your clients. Consider doing short-elevator pitches about yourself or a quick screen share of something to look at. The Dubb Chrome Extension is an effective tool to record screen or camera videos without any editing. These are only a few seconds long (as long as an elevator ride) but should give your clients adequate information about who you are and what your personality is. In order to have a strong working relationship, it is crucial that your personality clicks with your clients. Take care in creating an introductory video that is truly representative of who you are and how you can improve their lives. Remember to be honest about who you are because clients can tell sincerity and if you are genuine or not. There are a few different approaches that you can do here. If you are selling a product, you can create a short video that introduces your products to the client. Make it informative, teaching them how to most effectively use your product. You can also show them unique ways to use the product for their specific needs. These can be sent through email or you can put them on YouTube or your website for customers to access whenever they need extra help. You can also show step-by-step how-to videos to ensure that they know how to start off using your product. Do your customers frequently ask the same question? Answer these frequently asked questions on video to save everyone time. This also shows that you listen to your customers and their concerned. Getting clients can be the easy part, however to remain successful in your career you need to keep them. Engaging your clients is the only way for you to keep clients interested in you. If you have a product that you are releasing a major update for, make a short video to announce the best features of this update. If you are rolling out new products, explain these products in a video and how your clients can benefit from these new offerings. Videos can be a more effective way of showing off your new products or updates because it allows customers to actually see these products in use. Since video is the best way to engage your clients, make a high-quality video that will make your products pop. Videos are a great way to show clients who you are but why not show your team in action? Clients want to work with brands that mesh with their own values. Next time you are a part of a charitable event, such as donating time at a soup kitchen or doing a coat drive for the community, take a quick video highlighting your good work. You could also display yourself with a current client to let them tell any prospects how you have improved their lives with your products or services. You can tell clients how great you are all you want, but sometimes it helps to have a current client let them know how great your products and services are. Any video that you make needs to be relevant to the client base that you are trying to attract. This will involve some research as to which demographics your products or services apply to. Take the time to learn about what will attract this customer base to you. Maybe they want something exciting and interesting. Maybe they are just looking for honest facts without a lot of flash. By understanding these things, your video marketing will be far more effective. 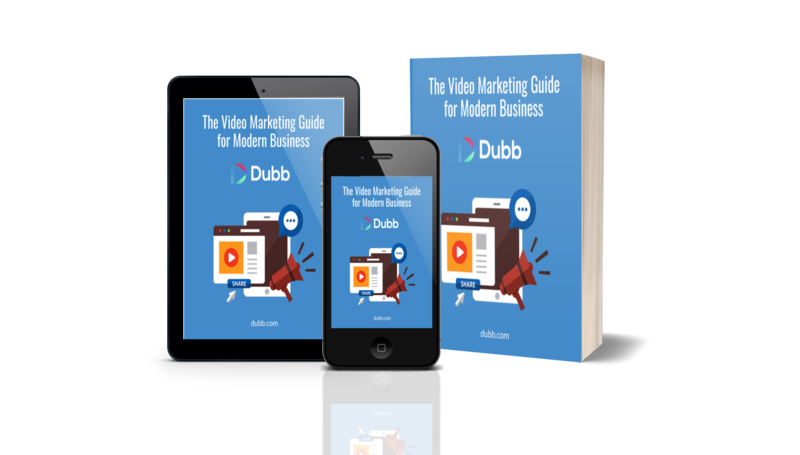 With dubb.com, you can use the mobile app or Chrome extension as a tool to record your videos. This app allows you to create personalized camera and screen videos to help create relationships and build trust with your prospective clients. You are also able to record videos aimed at retaining the valuable relationship that you have with your clients. The old way of marketing online has run its course. 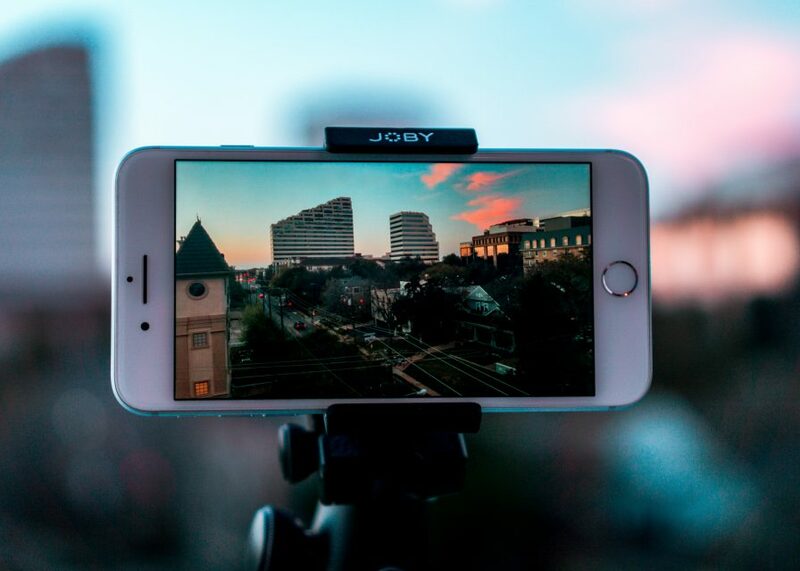 Now, creating high-quality and engaging videos is the most effective way for you to attract new customers to your business and retain the clients you have worked so hard for. Start creating your new video to impress clients today. 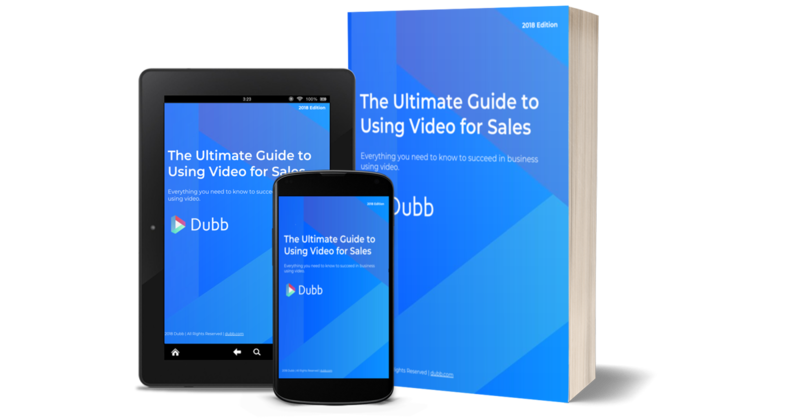 If you’re interested in learning more about the Dubb video communication platform, click here. I'll start using video marketing today!